The design of our 'C2' originated in Russia in the period between the two world wars. Rapid industrialisation led to an increase in the use of narrow gauge railways, and Kolomna Works designed a new 'standard' 750mm gauge locomotive known as the Class 159. This was an 0-8-0T+T with a 4 tonne axleload and 4-wheel tender. 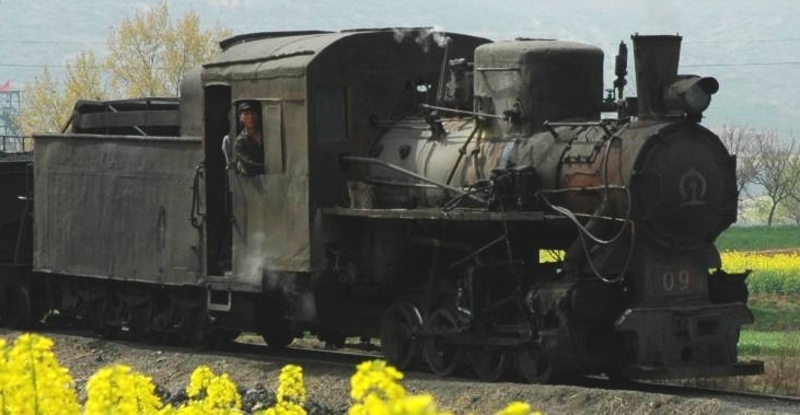 One thousand were built between 1930 and 1941, at four locomotive factories. However, the Class 159 was not a great success; in particular steaming was poor and fuel consumption high. In 1941, Kolomna Works developed an improved, modernised version of the Class 159. This was designated Class P24, and featured a significantly larger boiler with bigger firebox and more superheat. To remain within the 4 tonne axleload limit, the Class 159's side tanks were omitted, and a larger 6-wheel tender was used. 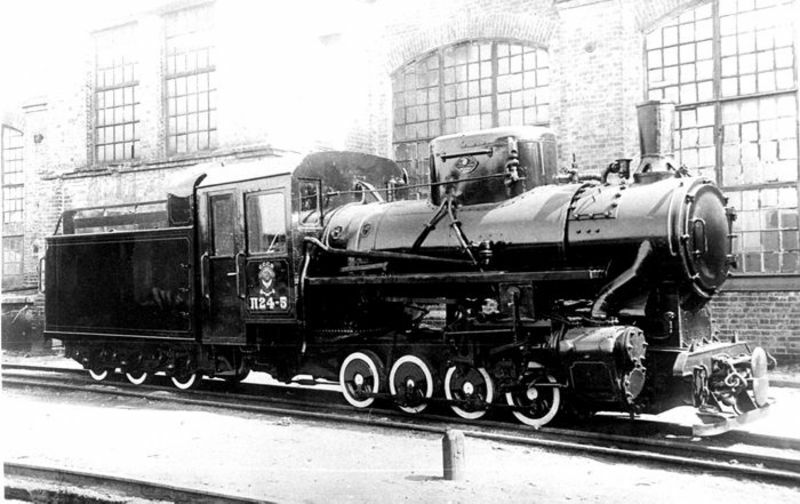 Only nine locos were built before the USSR was invaded in September 1941; one of these is shown in the picture, and the resemblance to the C2 is clear. At the end of the War, there was an urgent need for reconstruction, and narrow gauge railways were key to this process. Operational experience with the P24 locos led to some small revisions to the standard design, which was now designated PT-4. Between 1945 and 1959, approximately 4500 locomotives were built to this design in Russia and Eastern Europe. The majority of the latter were supplied to Russia as war reparations. This surely represents the most numerous narrow-gauge locomotve design worldwide. The table below summarises where the PT-4 locos were built; note that some manufacturers used alternative designations for the class. 81 of the Chrzanow locomotives were supplied directly to China in 1952. Other locos of this class supplied initially to Russia also ended up in China. These included later Chrzanow locos, plus examples from Skoda and MAVAG. It appears that designs and 'knowhow' were also supplied, to enable the Chinese to build their own locomotives. By 1958, locomotives of this design were being built in China. Once again, a confusing variety of class designations were used to describe the same basic 28-tonne locomotive. These included C2, YJ, ZM-4, ZG and ZM16-4. The major builders were Shijiazhuang Power Machinery Plant in central China (~575 locos), and Harbin Forest Machinery Plant in the north east (~221 locos). Several other works built smaller quantities, but information is sketchy; the total number built in China was probably about 1000. One design change compared to the PT-4 was the use of an external regulator linkage, with a gland on the side of the dome. C2 construction ended at Harbin works in 1987/88; our C2 'Dahuichang Number 4' is works number 221 dated January 1988 and was probably the last one built. A common misconception is that the C2 is similar to the PX48 locomotives still to be found in Poland. The PX48 is a considerably larger locomotive. Some PX48s were exported to China where they were known as BL. The Chinese built similar large 42-tonne 0-8-0s under various designations including 'C4'. However, several locos of the PT-4/KP-4 classes still exist in Russia and Eastern Europe. Locations include the Pereslavl Narrow Gauge Railway Museum, the Nizhny Novgorod Children's Railway and Rostov-on-Don in Russia, the Estonian Railway Museum, the Gulbene-Aluksne Railway in Latvia, the Cisna Tourist Railway, Poland, and in Hungary.